Virtually every story we have available to us is pushed forward through external influences on the character. In other words, characters make events happen, or in some cases they happen by themselves, and subsequently deal with the consequences which advance the story. 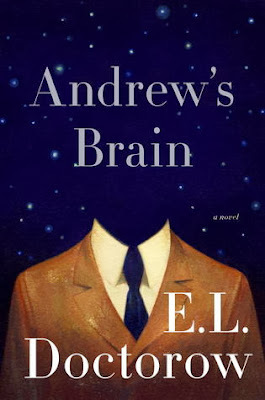 There are very few authors out there who have tried to write an entire novel in the form of a monolog and succeeded, and I believe that E.L. Doctorow is one of them, having penned Andrew’s Brain. In this book, we are basically taken into the mind of a rather self-absorbed man, Andrew, as he sits in a room and reflects upon his entire life in the form of a monolog in front of someone known only as “Doc”, though I strongly suspect he is a stand-in for the reader him/herself. As you can certainly guess, the action in this book is kept to a minimum, as everything we get comes from Andrew’s discourse. We get to learn about his life from the start to his current position, his opinions on himself, the people who surrounded him, as well as the events which took place in his life. I will not lie, though I do love me some Doctorow, there are times at which Andrew’s Brain was fairly dull, with there being passages with no redeemable value (at least none that I could find). Perhaps if the book had been shorter the story wouldn’t feel like being dragged through mud at times. Thankfully though, such moments don’t litter the pages and are rather few and far in-between, especially after you get to the second half of the book. It does take a bit of patience and dedication to invest yourself in this book and get the most out of it, but in the end it does pay off. Why is that? Well, first off, the quality of the writing itself is simply astonishing, being filled to the brim with majestic descriptions and clever plays on words that convey more meaning than you would think is possible. In addition to that, Andrew’s life story isn’t the main plot of this book, at least in my eyes… rather, it is the knowledge he absorbs from it that really matters. Doctorow certainly has a few interesting observations about life to make and ideas to share, ones that deserve thought and consideration seeing as how they do not come without support. Perhaps most notably, Doctorow explores the concepts of identity and memories, discussing how fickle and yet indispensable at the same time they are for us. All in all, Andrew’s Brain is a bit of a hit and miss novel, with there being two possible opinions of it: love or hate. If you are the kind of reader who enjoys slower works that generate their content from the infinite knowledge, imagination and wisdom of the human mind and don’t mind a lack of action, then this book will certainly be for you… otherwise, chances are your reaction to it will fall in the latter category. 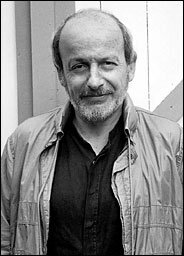 E.L. Doctorow is an American author whose works of historical fiction are rightfully renowned in the literary community. He won a number of awards for some of his particular works, such as the National Book Critics Circle Award for Ragtime, or the National Book Award for Fiction for World’s Fair.